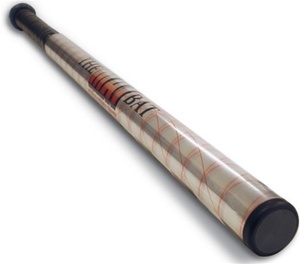 Improve your hand-eye coordination skills by training with the Meiga MAT Bat! The MAT Bat is a 20 oz. training bat that has an adjustable length from 27"-34". To adjust the bat length, you simply press the push button on the bat and slide the barrel up or down into the desired length. This durable plastic training bat is perfect for soft toss drills or taking batting practice with golf ball size poly/soft foam ball pitching machines. 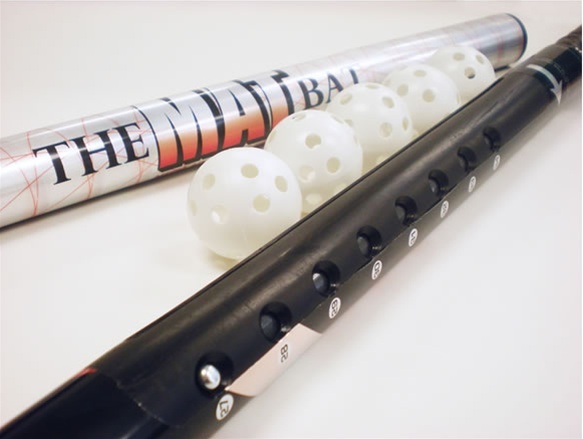 Through repetitions, the MAT Bat can be used as a softball or baseball training aid that focuses on hand-eye coordination development and speed training. Suitable for all ages and sizes. Comes with 5 perforated plastic golf balls. As a baseball coach, what are some ways that I can incorporate the MAT Bat into my practices? The MAT Bat is an effective vision/speed training bat. The 20 oz. 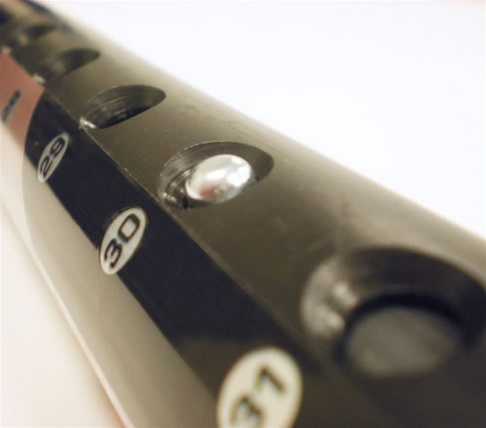 weight and the diameter of the bat places a greater deal of concentration on hitting a small ball with a smaller barrel bat. The MAT Bat is length adjustable which allows multiple players of different sizes to use one bat. Soft toss, soft-foam/plastic poly-ball pitching machines, or over hand toss are some examples of drills that coaches use the MAT Bat with. Can you use regulation size baseballs or softballs with the MAT Bat? No, the MAT Bat has passed and gone through a series of tests using plastic golf balls and soft-foam balls.